Jtsunibtik sok lekil weeltik (Our Crops and Safe Food) is a project whose main objective is the saving of native grains still in use in Indigenous communities. The creation of a seed bank would involve the rescue of seeds of more than three varieties of local corn, as well as the seeds of different native bean and pumpkin varieties. To do this, a rigorous investigation will be carried out within the designated area to rescue all the local varieties and subspecies. When the seeds have been successfully collected and rescued, they will be sown and reproduced in a demonstration plot, initially to stock the seed bank and in the long run, so that more people can have access to them. Finally, ancestral agricultural production techniques that respect Mother Earth and the natural sowing and growth processes will be used. These Indigenous villages rely on agricultural production both for their own consumption and as the basis of the local economy. These communities have already been adversely affected by global warming and the widespread use of agrochemicals, so the rescue the seeds and the planting of traditional foods is of vital importance for future generations, both to restore the fertility of the land and support the health of the people. 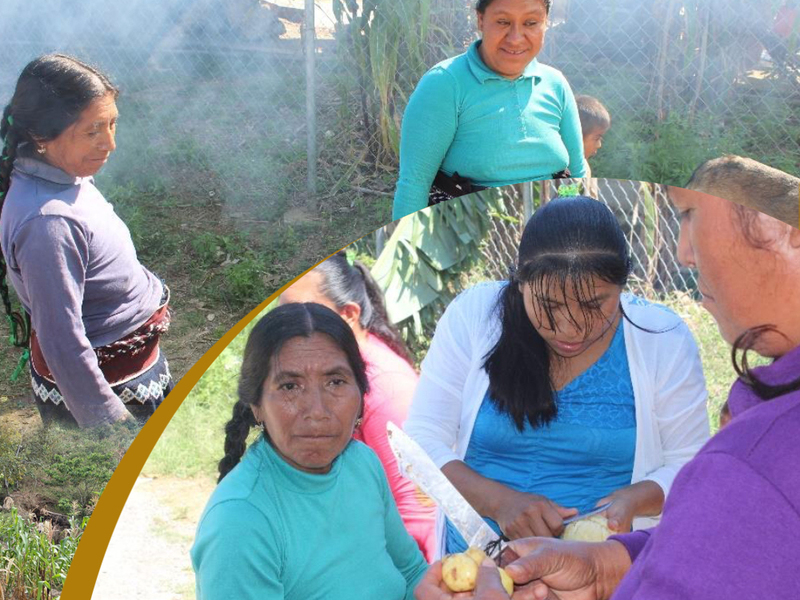 This project will benefit directly approximately 15 Chixtontic families, who will work directly with the women who are currently responsible for the collection of seeds, and the fruits of these labours will go on to positively impact the entire community.